I haven't had Starbucks since New Years Day but today required a little mid-afternoon pick me up. I see you've been out with your "sketchbook" again! This process on your phone really looks good. I haven't been to a Starbucks for ages, our local coffee shop is Tim Horton's..... are there any Timmys in your neighbourhood? 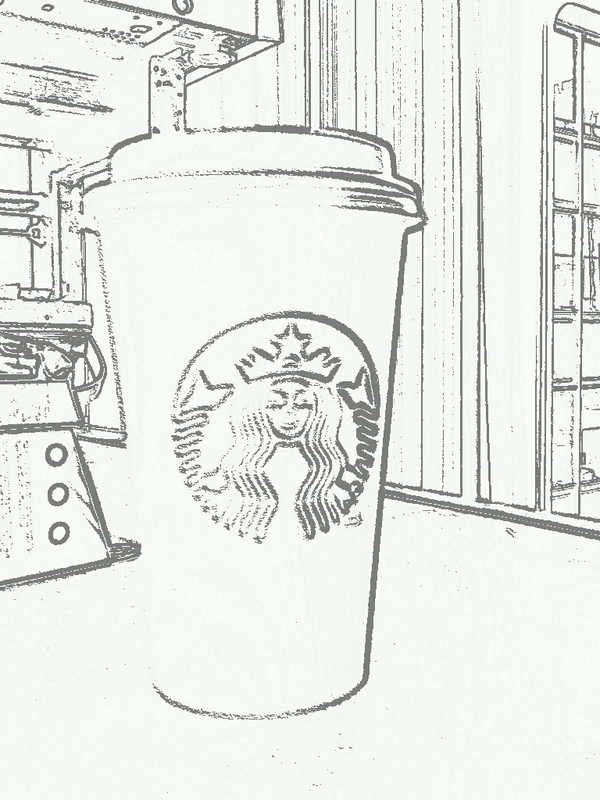 I luv a Starbucks coffee. We have a number of Starbucks opened up here in Scotland. You can also buy the packets of Starbucks coffee in the supermarket but I would sooner have it made for me. I had my first of 2012 on Saturday - decaf iced Americano!